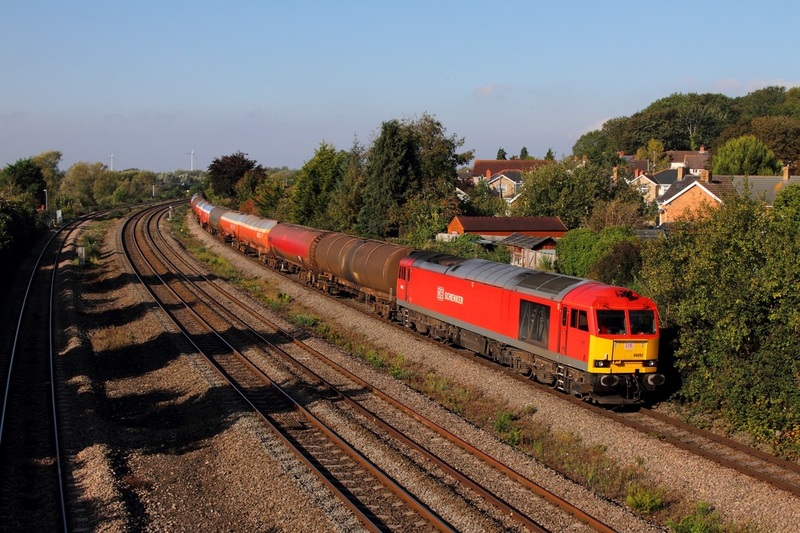 DB Schenker's EWS liveried 67022 pulls the 1W96 Cardiff Central to Holyhead at Ponthir on the 30th September 2015. 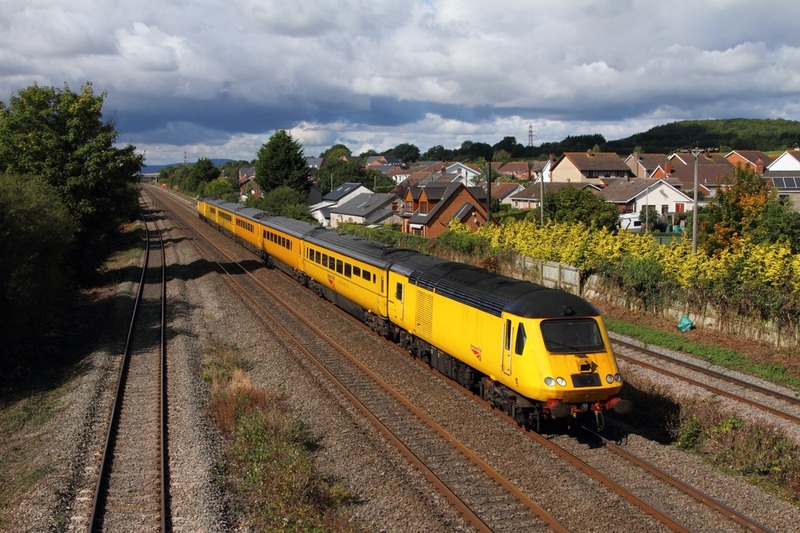 43012 leads 43087 on the 1L55 1055 Cardiff Central to Paddington at Llandevenny on the 30th September 2015. 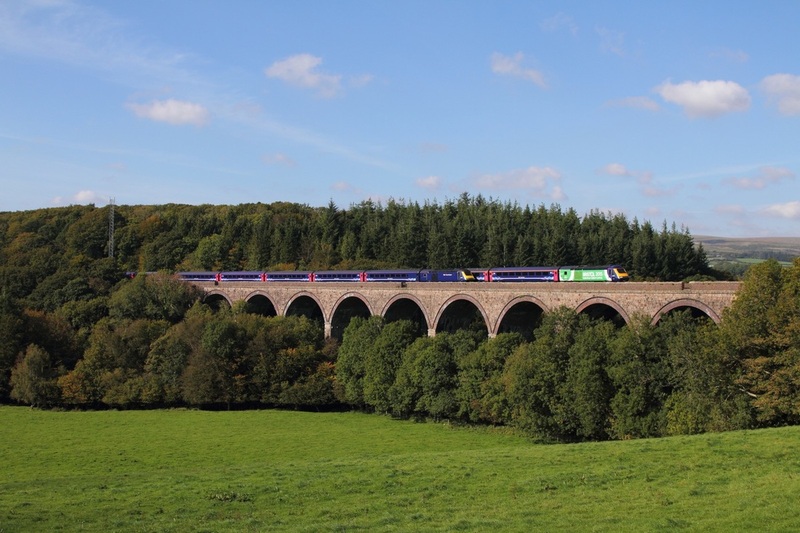 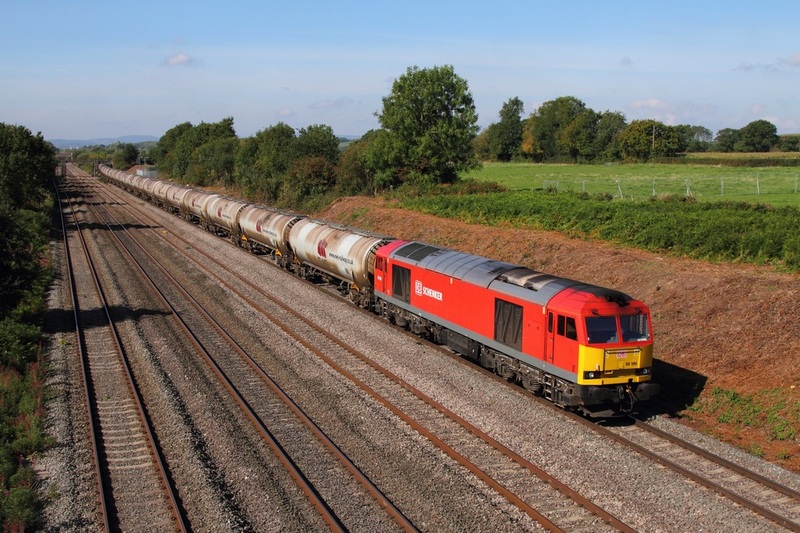 ​60096 powers the 6V54 Chirk to Exeter Riverside at Llandevenny on the 30th September 2015. 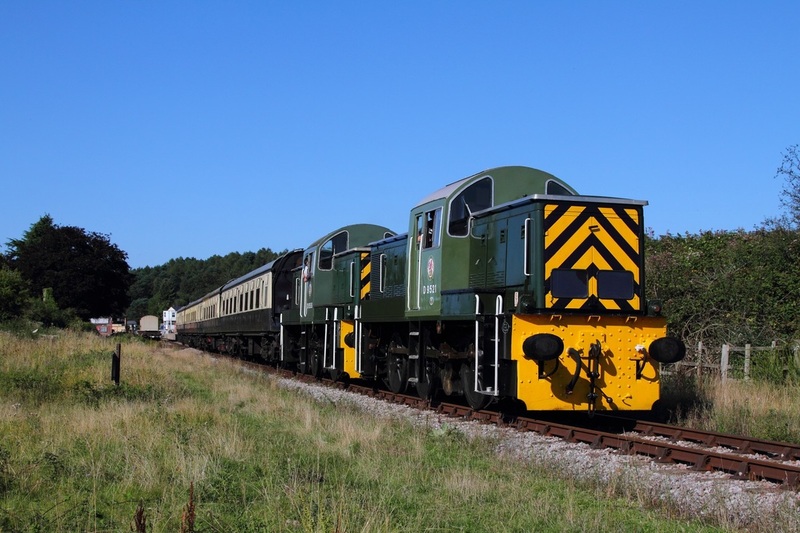 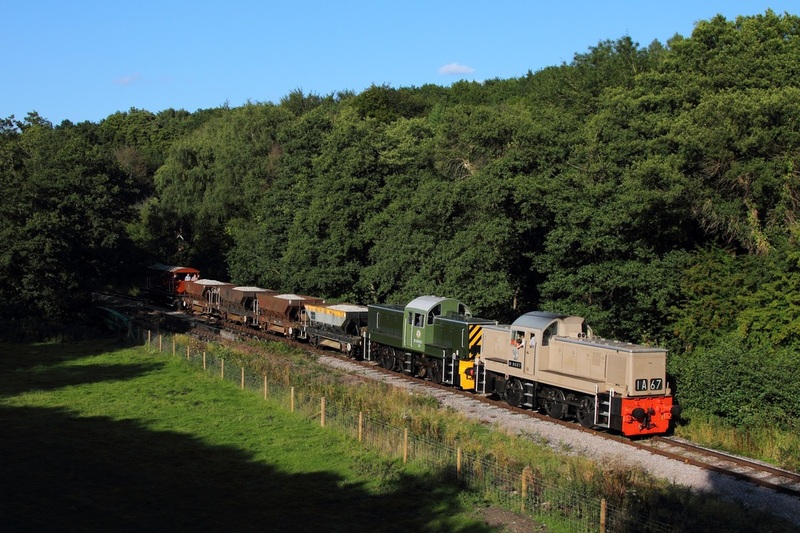 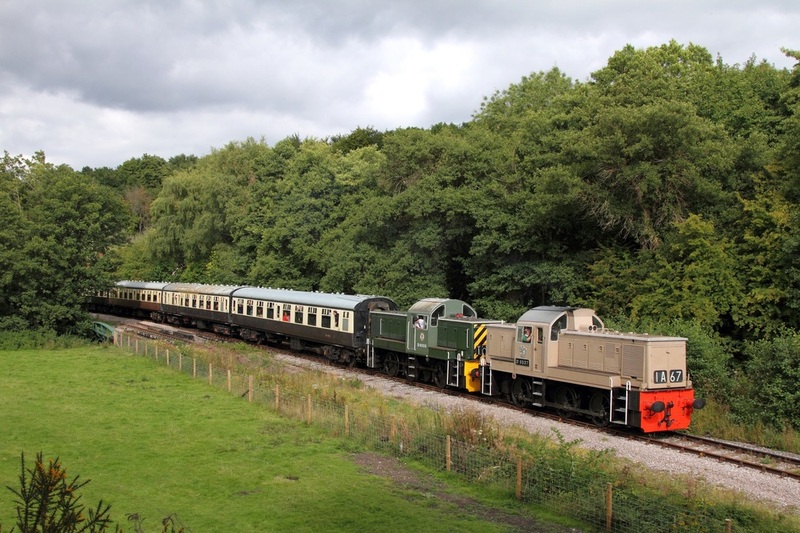 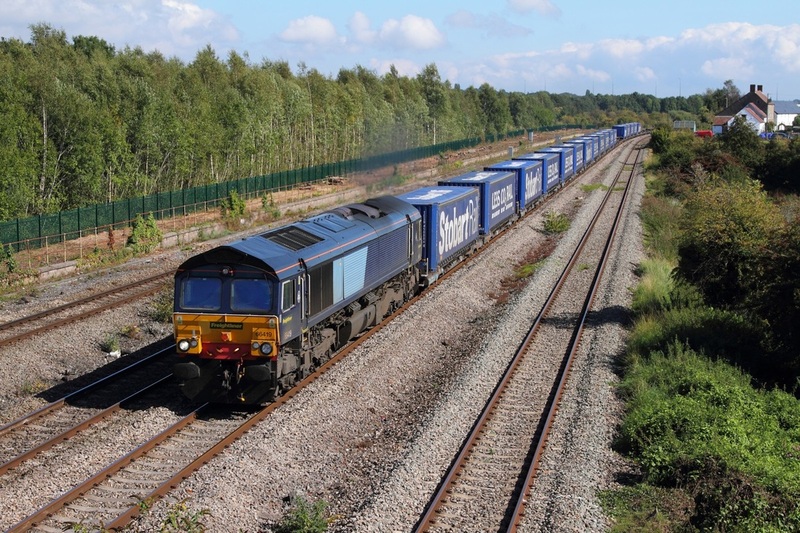 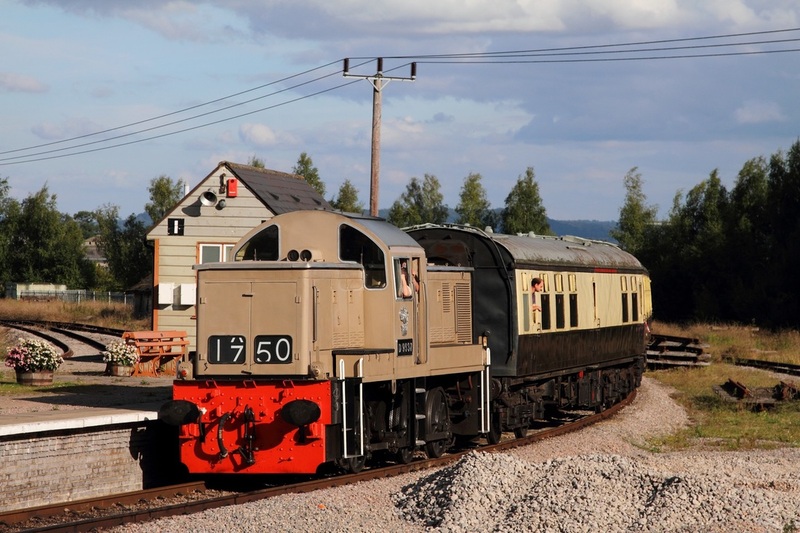 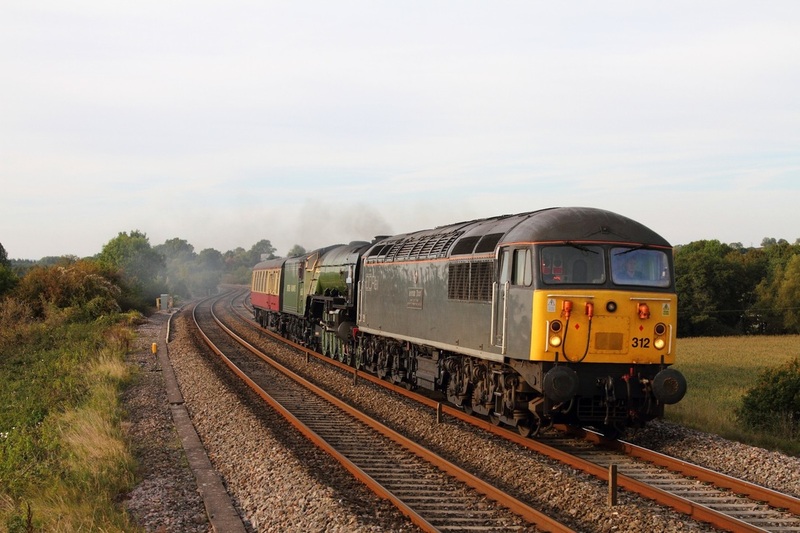 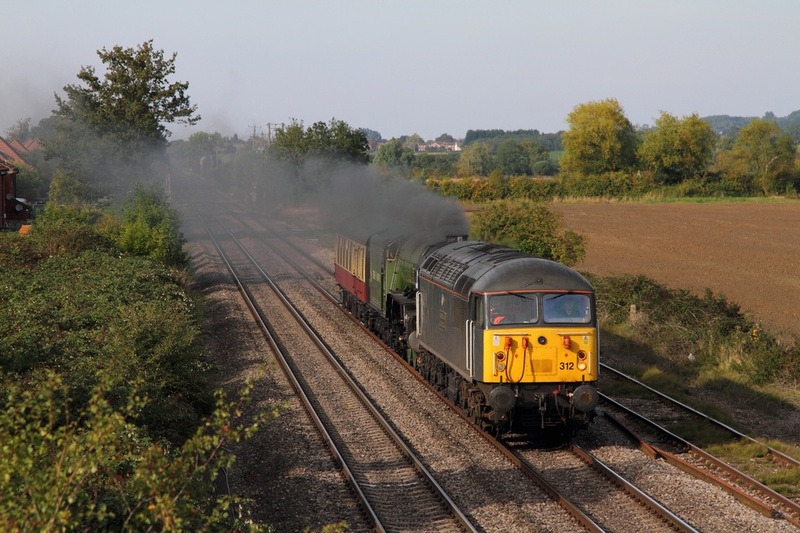 60092 hauls the 6B13 Robeston to Westerleigh tanks at Undy on the 30th September 2015. 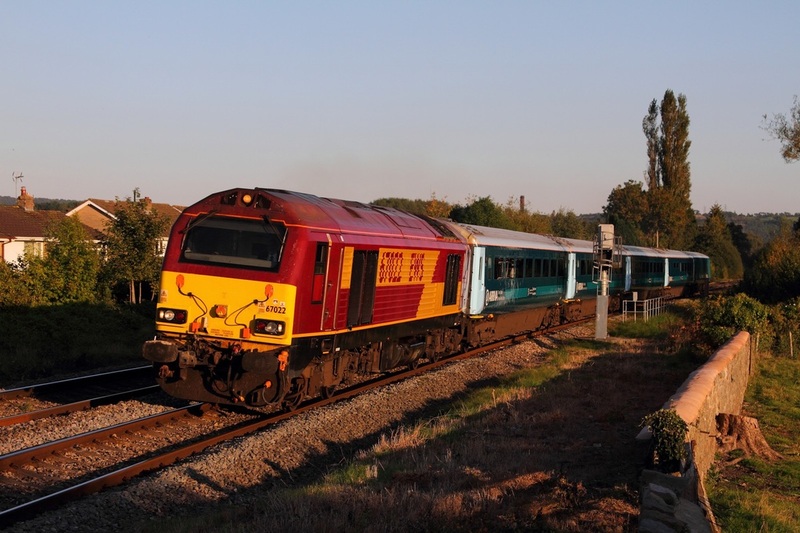 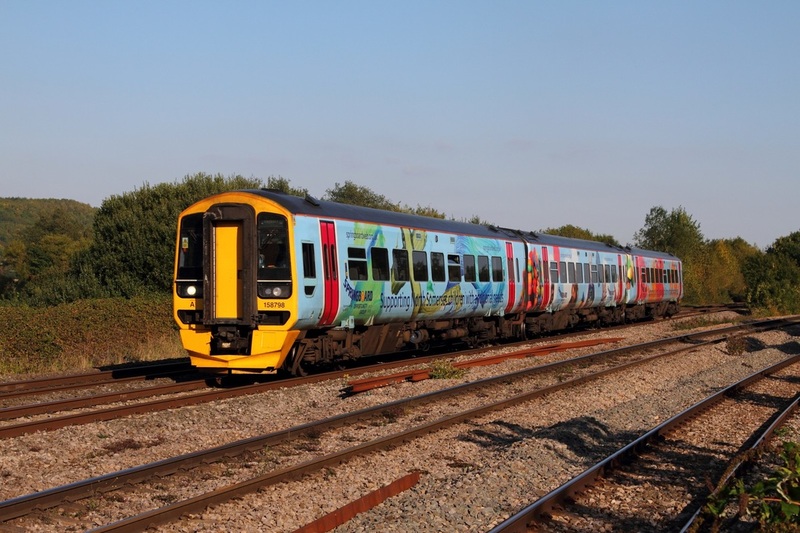 DR73931 works the 6J86 1025 Maindee depot to Kingsland Road passed the enhancement work at Severn Tunnel junction station on the 30th September 2015. 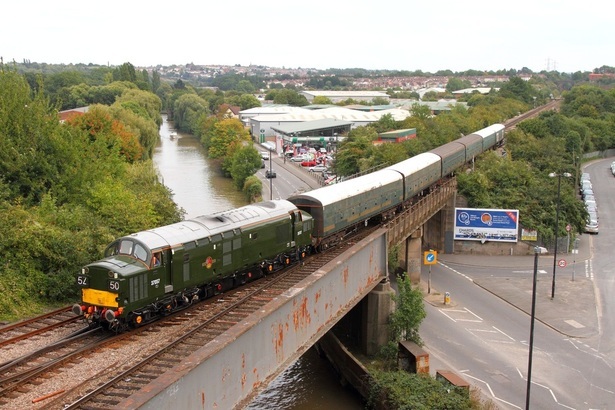 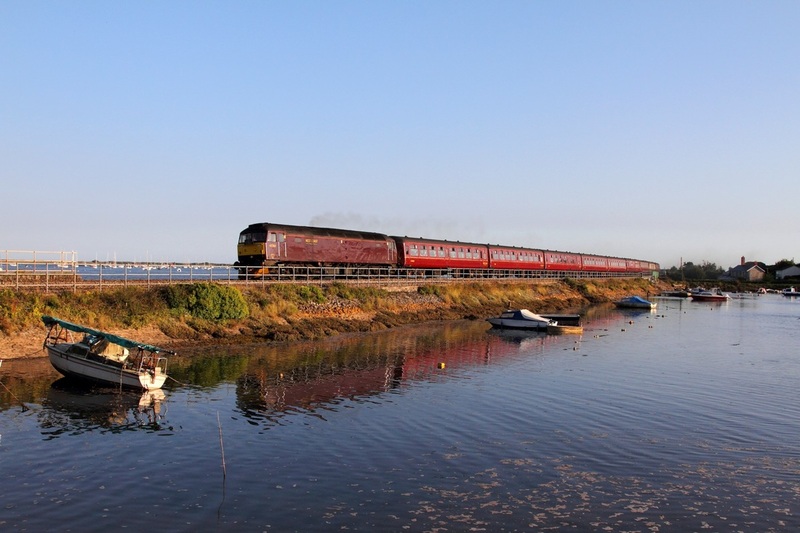 ​West Coast Railway's 47760 vice Steam hauls the 1Z51 1640 Kingswear to Slough over Cockwood Harbour on the 27th September 2015. 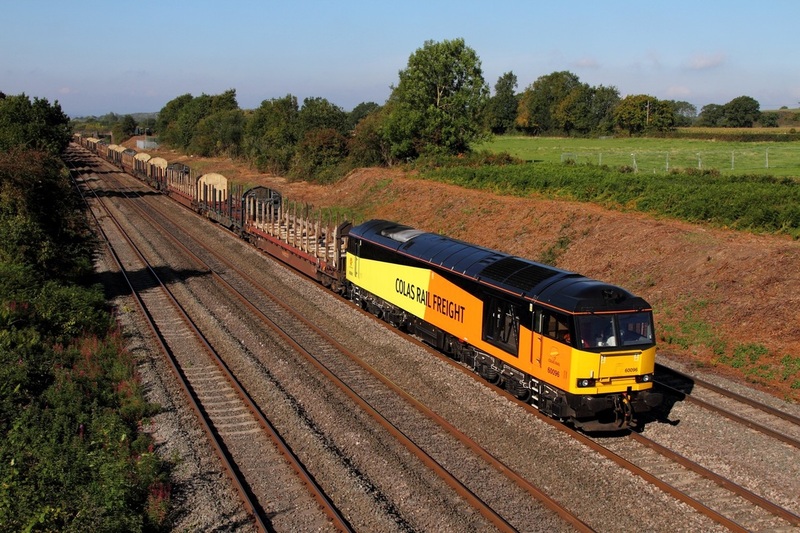 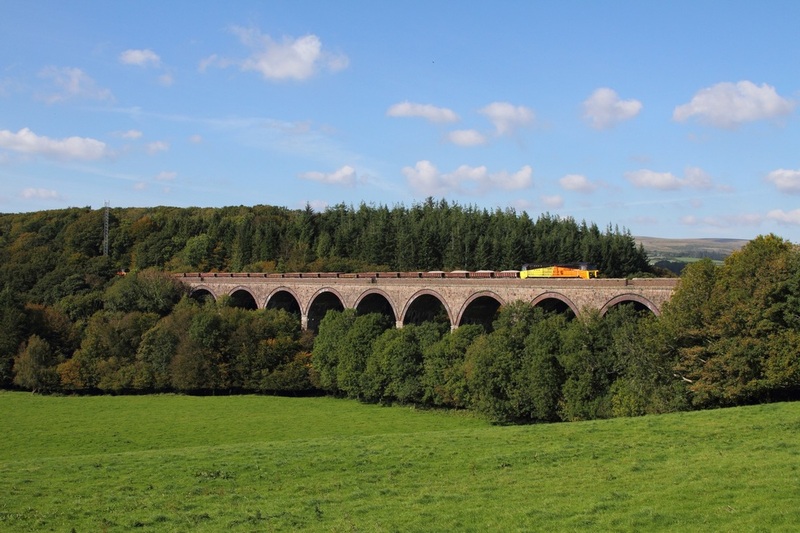 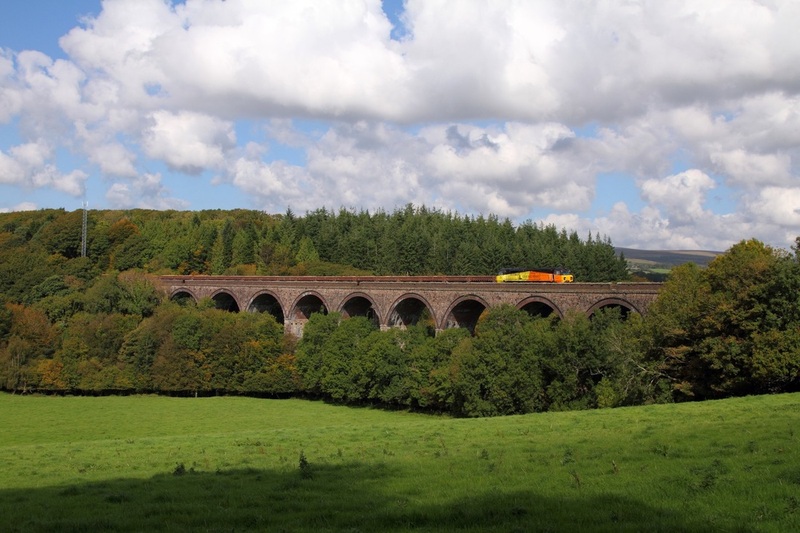 Colas Rail 70808 leads 70809 on the 6C20 1010 Largin to Westbury over Blatchford viaduct on the 27th September 2015 running 240mins late. 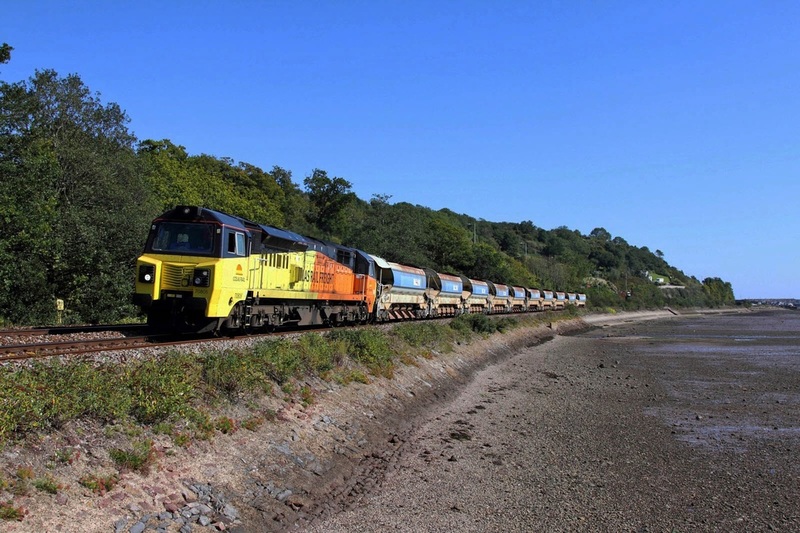 70806 on the 6C26 1047 Westbury yard to Largin at Bishopsteignton on the 27th September 2015. 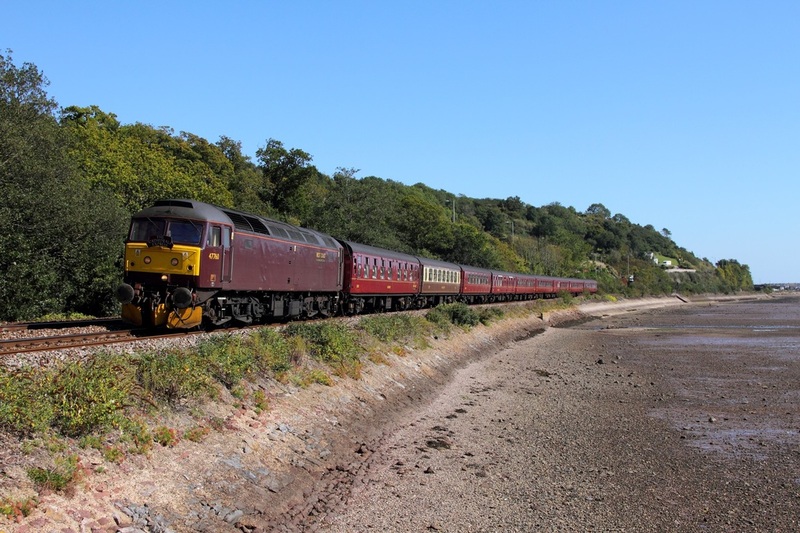 With neither Kinlet Hall or Mayflower available, West Coast Railway's 47760 vice steam works the 1Z50 0834 Slough to Kingswear at Bishopsteignton on the 27th September 2015. 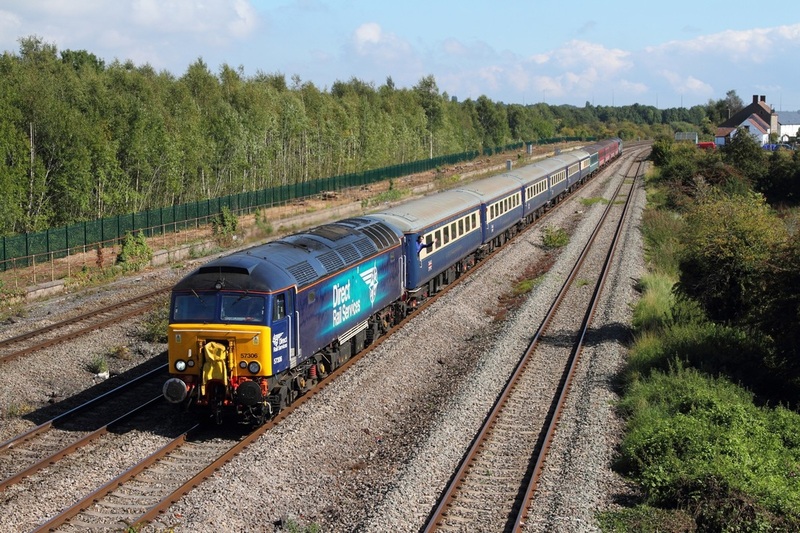 43384 leads 43378 on the 1E73 1625 Plymouth to Leeds over Cockwood Harbour on the 27th September 2015. 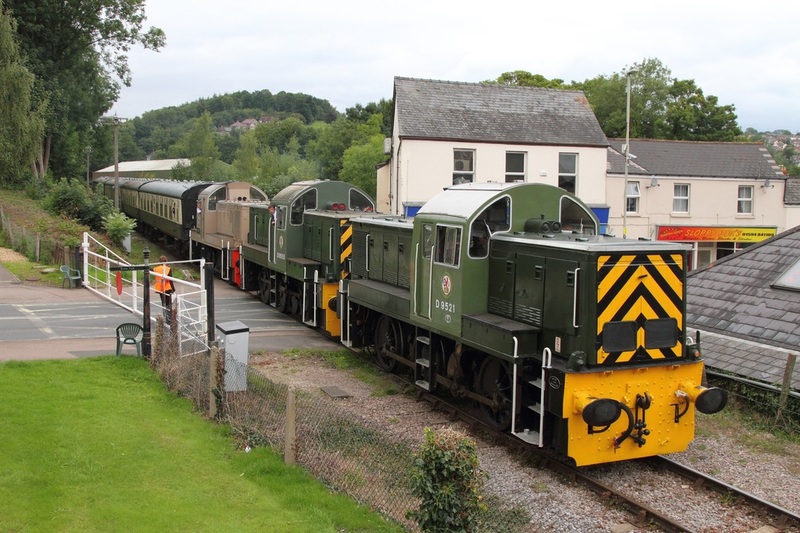 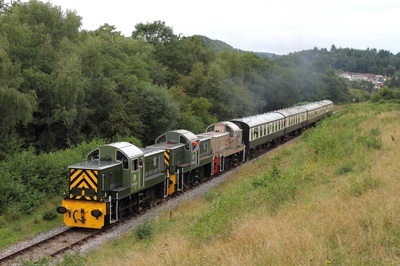 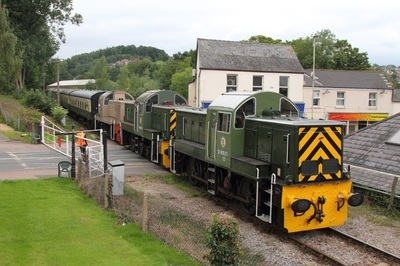 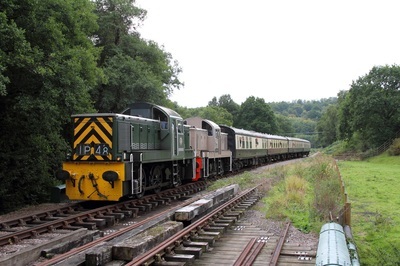 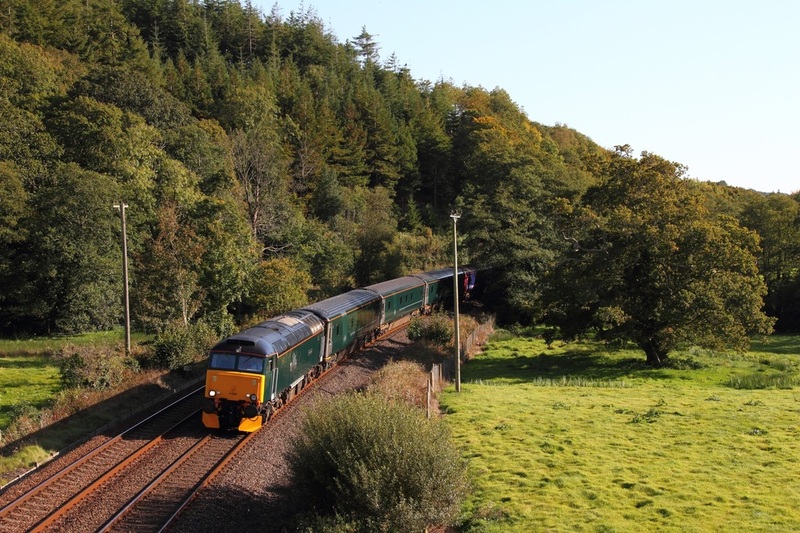 43186 leads 43165 on the 1A92 1629 Liskeard to Paddington at Cockwood Harbour on the 27th September 2015. 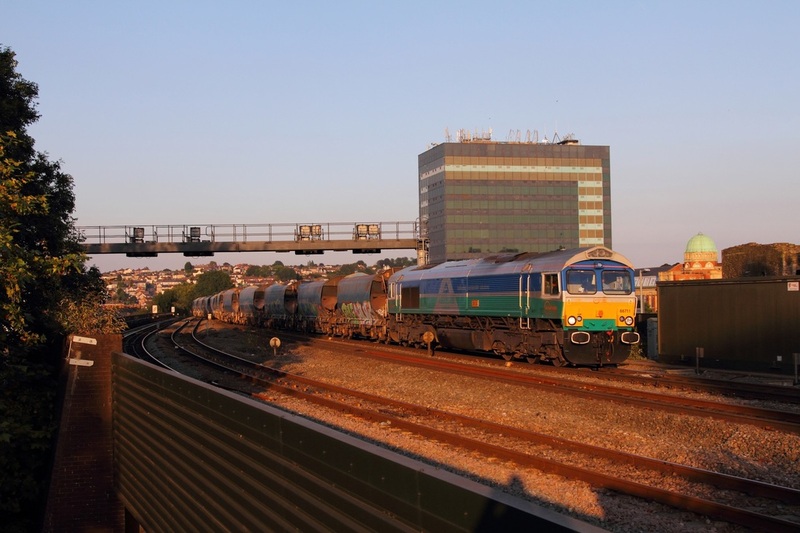 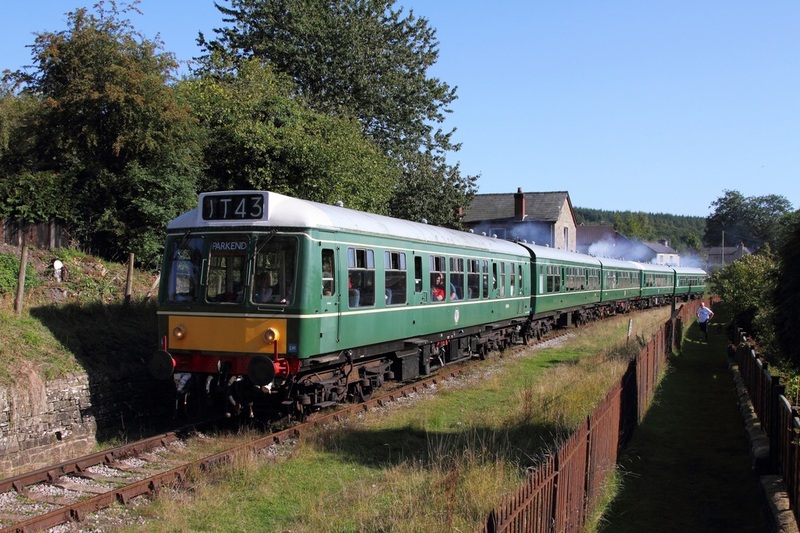 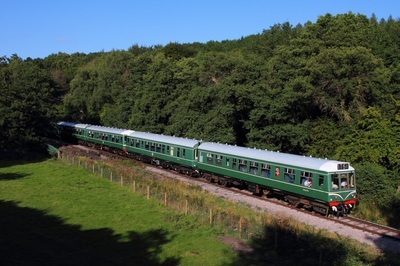 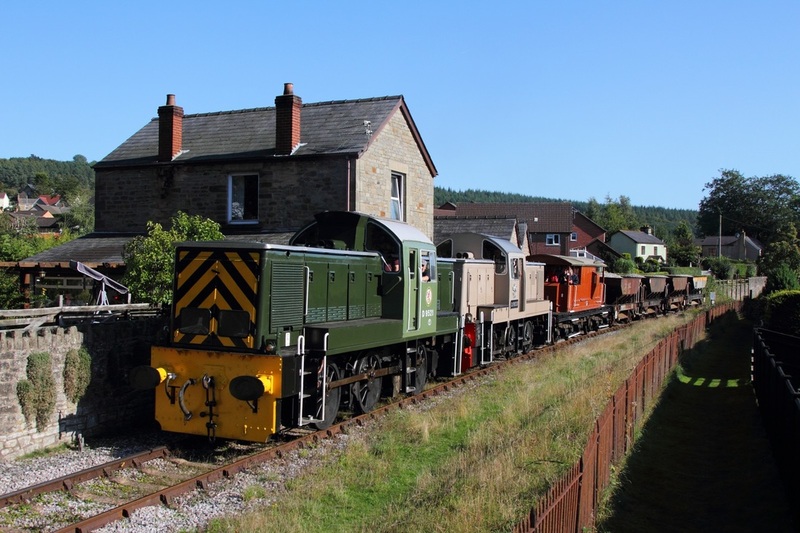 ​57605 on the 5Z40 Penzance to Laira at Restormel on the 26th September 2015. 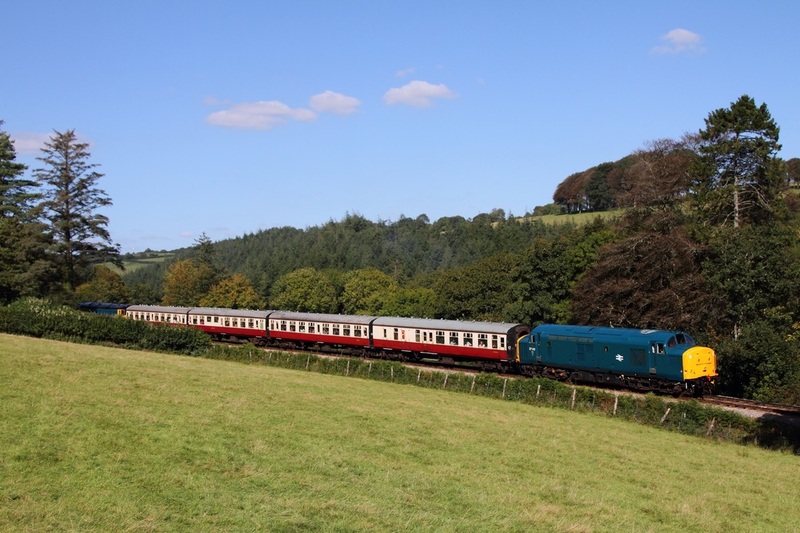 ​37142+50042 on the 1330 Bodmin General to Bodmin Parkway at Charlie Gate on the 26th September 2015. 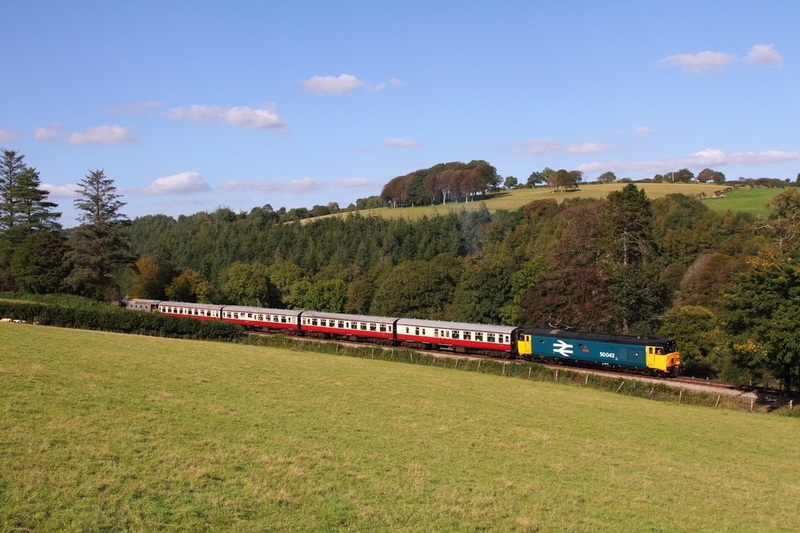 ​50042+33110 on the 1525 Bodmin General to Bodmin Parkway at Charlie Gate on the 26th September 2015. 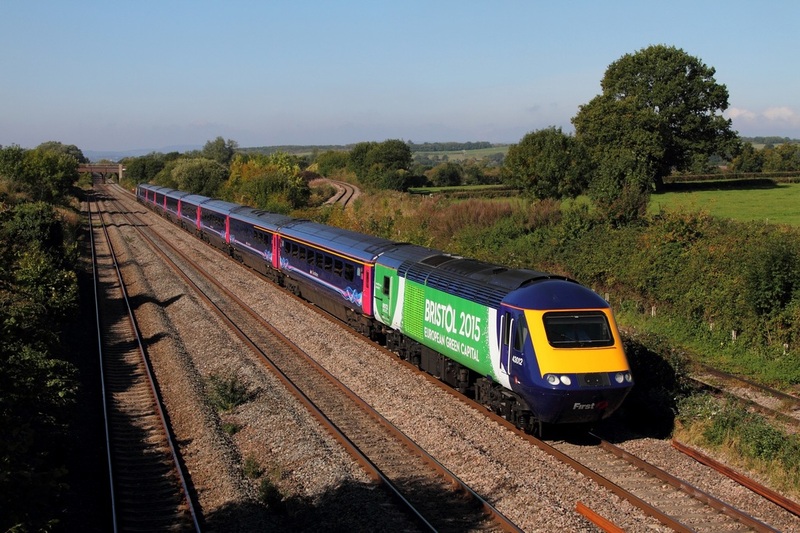 43188 on the 1L76 1528 Swansea to London Paddington at Briton Ferry on the 22nd September 2015. 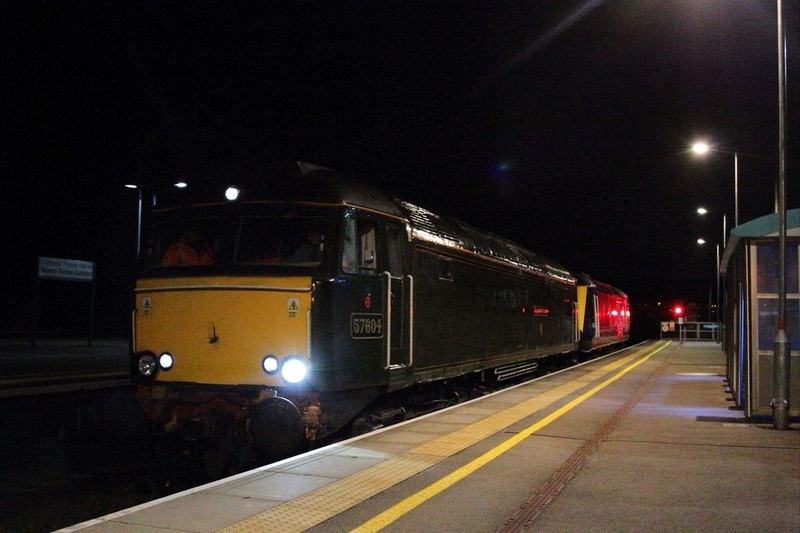 57306 tnt 57310 on the 1Z17 London Paddington to Cardiff Central at Undy on the 20th September 2015. 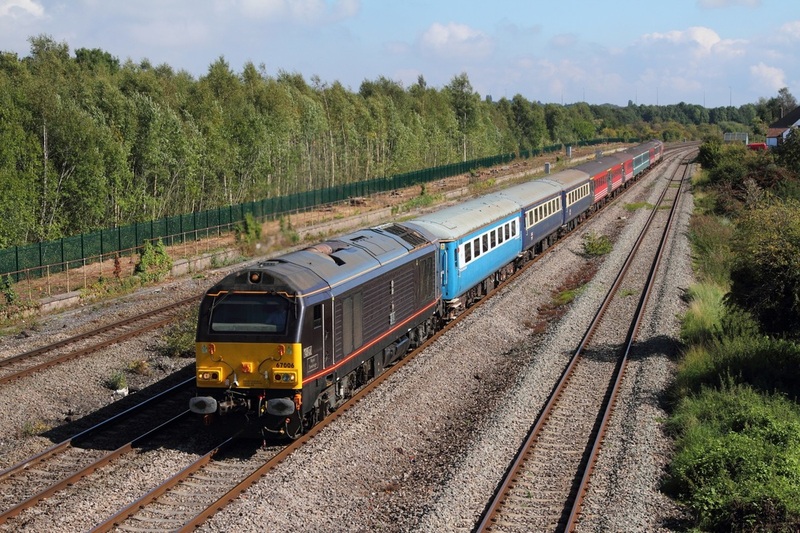 67006 tnt 67008 on the 1Z15 Paddington to Cardiff Central at Undy on the 20th September 2015. 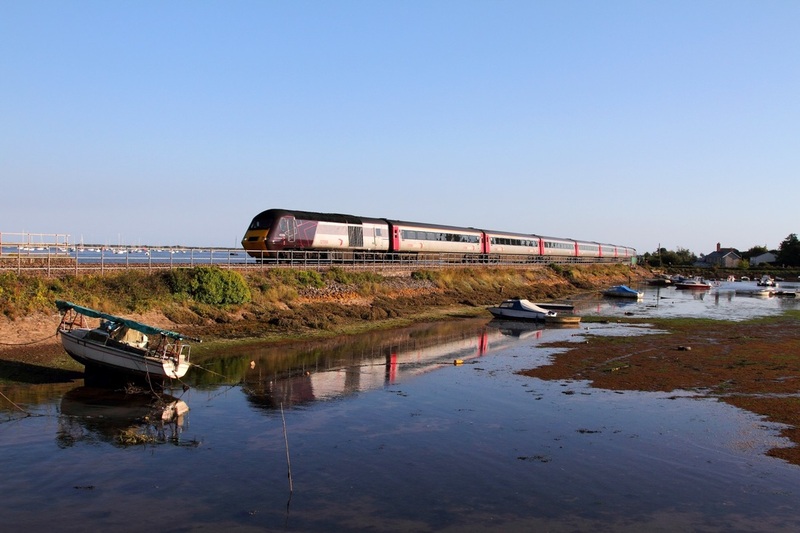 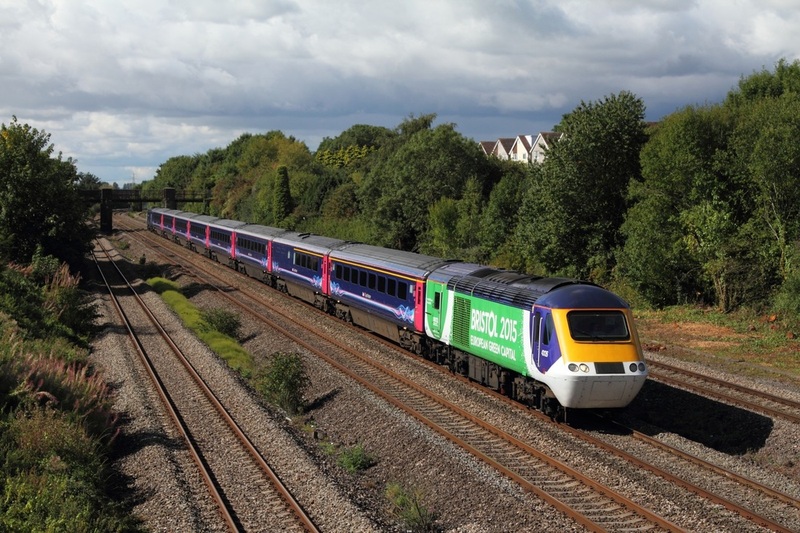 To provide extra seating capacity to help with additional travellers for the Rugby World Cup, First Great Western ran 3 specials to Cardiff Central. 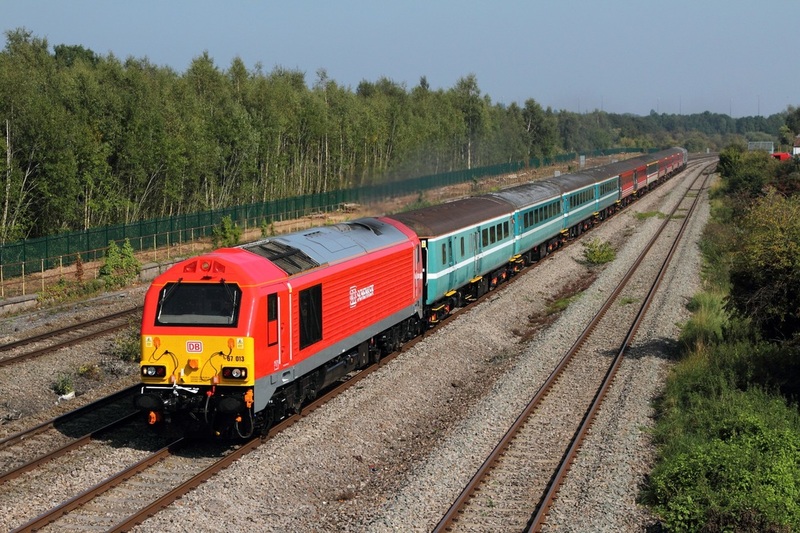 The third is captured at Undy with 67013 now in DB Schenker house colours leading 67029 on the 1Z17 London Paddington to Cardiff Central on the 19th September 2015. 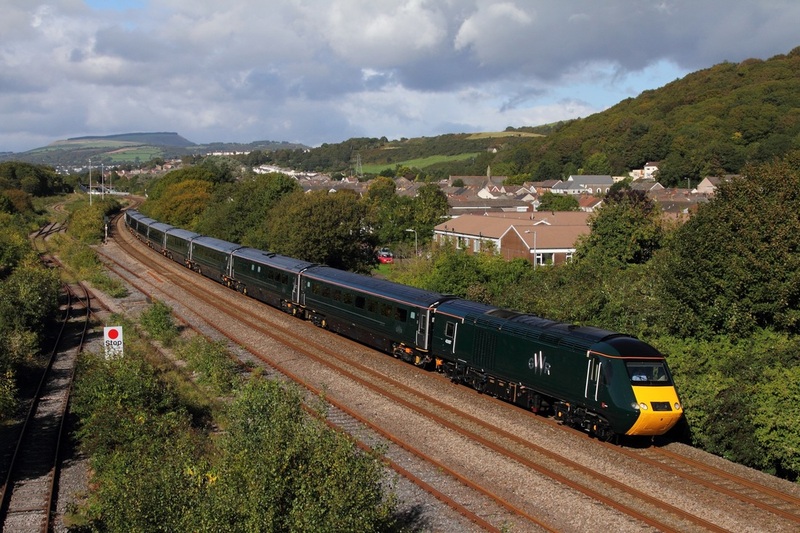 43126 leads 43070 on the 1L52 1028 Swansea to London Paddington at Undy on the 18th September 2015. 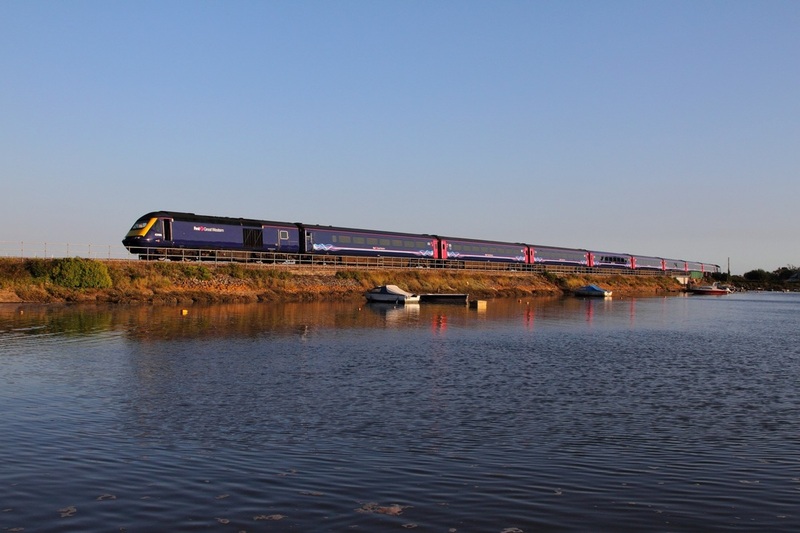 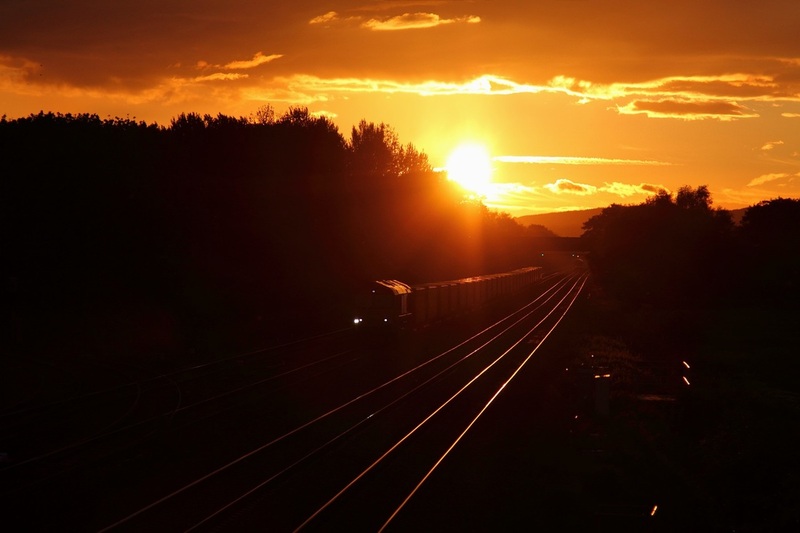 Moving Night shot: First Great Western 57604 leads 43179 cautiously through Severn Tunnel Junction station working as the 0Z74 Severn Tunnel sidings to St Phillips Marsh on the 16th September 2015. 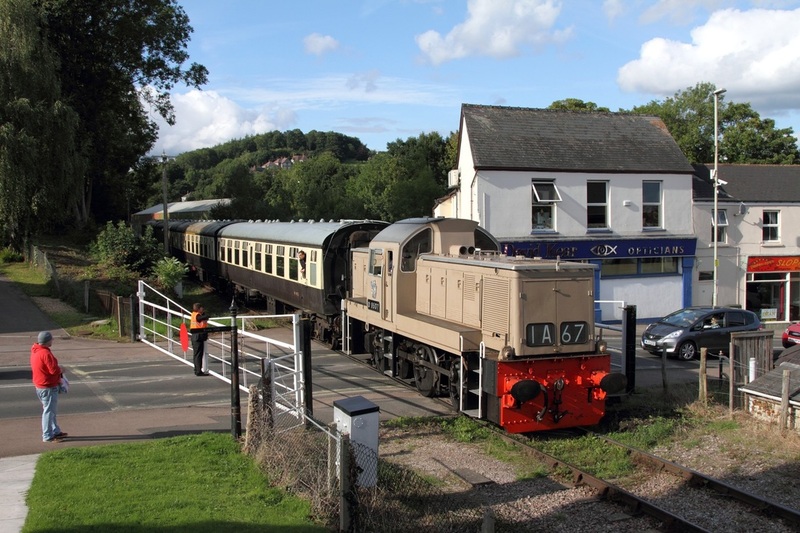 43179 failed sunday with a dramatic gear box failure. 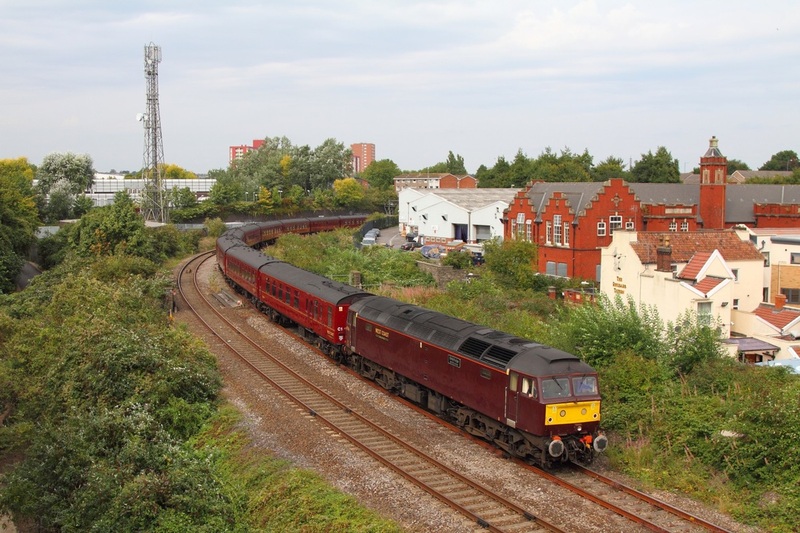 47746 on the 5Z39 Southall to Kingsland Road at North Somerset junction on the 11th September 2015. 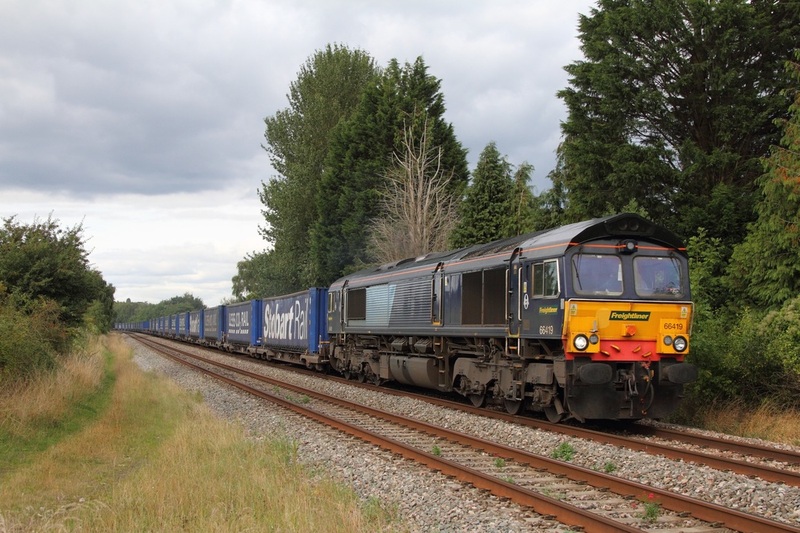 66711 on the 6V79 Angerstein to Cardiff Pengam at Newport on the 7th September 2015. 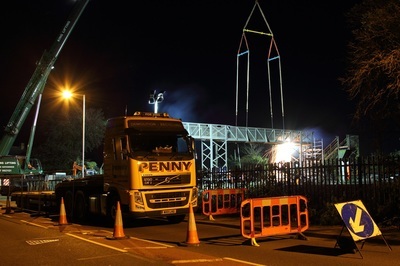 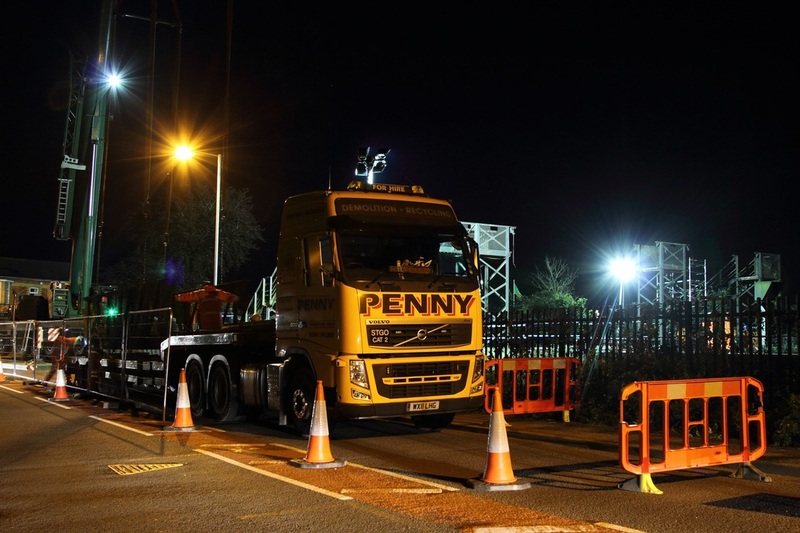 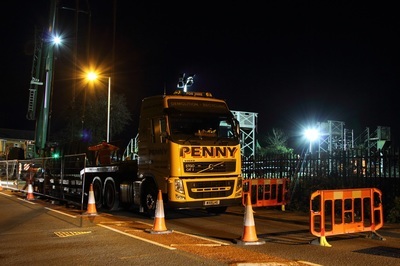 At 3am sunday morning, the process of removing the former station footbridge at Undy is recorded. 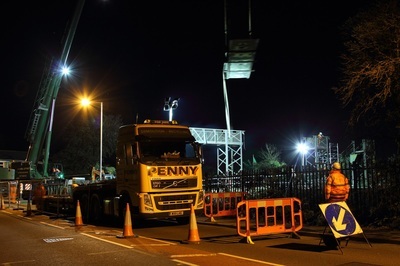 The next footbridge at Magor church has also been removed. 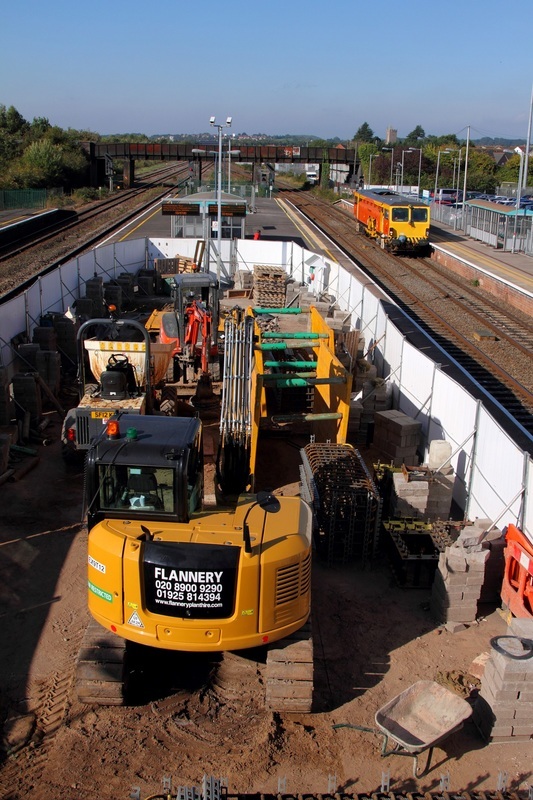 They will be replaced by new higher bridges which are being installed before the electrification process begins. 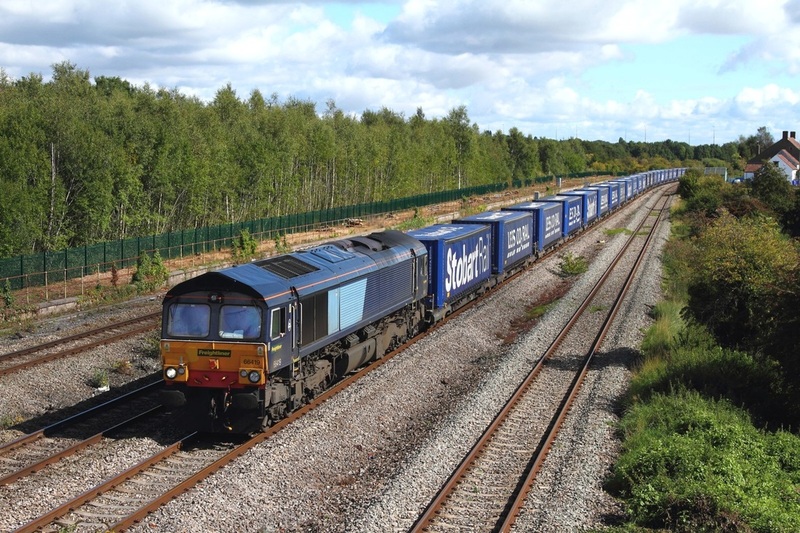 Freightliner's 66419 ironically makes an appearance on hire to DRS, powers the 4V38 Daventry to Wentloog at Bullo Pill on the 5th September 2015.